This video gives additional information on how I handle leftovers. 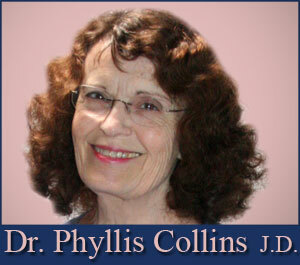 Dr. Collins of www.DietHobby.com shares Diet Cooking Tips & Tricks. Marvelous! I liked seeing you do it. I do have a bunch of those hard containers, and they do take up more room. Do you microwave in the bag or do you have another method? Some worry about microwaving in plastic bags and the chemicals released. Using the cup as both a stand for goopey items and a measure is ingenious. Thanks Karen. The only time I microwave the bag is when I have to thaw it just a bit to get the food out. My process is to take the food out of the bag, place it on a plate or in a bowl and thaw-heat it in the microwave. Here is a common technique I frequently use for my husband's complete meal. As an example...for his dinner, I might take from the freezer, one to three baggies (my size servings) of one "leftover" main dish, like swiss steak, one or two baggies of "leftover" cooked rice, and one or two baggies of "leftover" veggies. I would remove each of these foods from their baggie, and place the frozen swiss steak on one plate, the frozen rice on another plate, and the frozen veggies on another plate. I would then thaw/heat each of these food separately...because for optimal taste, they each need different thawing-heating times...then when each of the three different food items are thawed and warm, I place the three items together on a serving plate, and heat for an additional 30 sections to 1 minute. In this way, all of the items retain their freshness. I find washing up an additonal 3 or 4 plates well worth the flavor result. This is one way that I can easily provide my thin and healthy husband with individual meals that are higher calorie than I choose for myself. I also, frequently provide him with an individual serving of previously frozen full-calorie pie or cake etc. The fruit pie I thaw in the microwave, the cream pie or cake I allow to thaw at room temperature. I'll be doing videos about the pie and cake issues soon. Karen, I find this to be so helpful, and am pleased it helps you too. The vegetable soup is a recipe I want to video when my wrist recovers enough to do so. Making more new recipe videos is still probably at least a month or so away. I like this idea. I have tossed so much food in the trash because of my husband crashing containers as he searches in the freezer. Yes, he is one of those who is standing there with the jar of mustard in his hand as he yells, "Where the hell did you put the mustard." Plastic shards are dangerous like glass and my motto is: "When in doubt, throw it out". Excellent. I never really froze soup items because I hated having all that Tupperware/Rubbermaid stuff taking up room in the freezer! As one person living alone, this makes it easier for me to prepare "regular" size recipes instead of cutting recipes in half! Is your veggie soup recipe posted somewhere? Or is it similar to the Zero Points Soup from WW (which I love!). Thanks for such a great website! I could spend all day here! LOL. Thanks, LoveTahoe. Look at the top Header ... 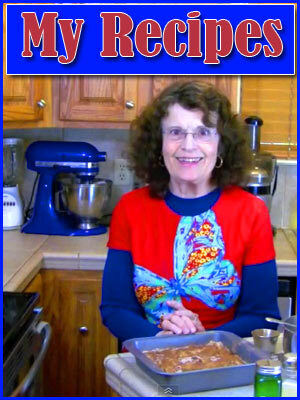 RECIPES ... then the easiest way to find it is under the ALL category -- Vegetable Soup.